They tried — those little blood-sucking devils! — but craft prevailed, and we had a lovely time sewing in the park. 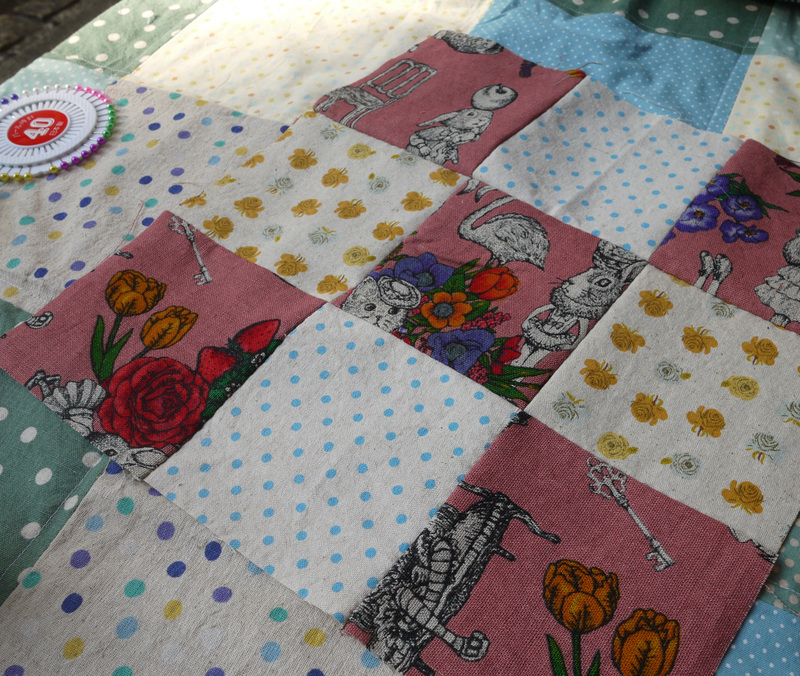 Sunday’s session of the English Craft Club was the nine-patch quilting class. We started on some fluffy grass under a tree in Shinjuku Gyoen, and after valiant battle with some mosquitos we retreated found a better spot in a nearby picnic pavilion. The mosquitos may have bullied us, but they couldn’t damper our craft spirits. My favorite part of these quilting classes is watching everyone choose their fabrics. For each class I bring pre-cut fabric squares so we can get right to work designing our quilt blocks. 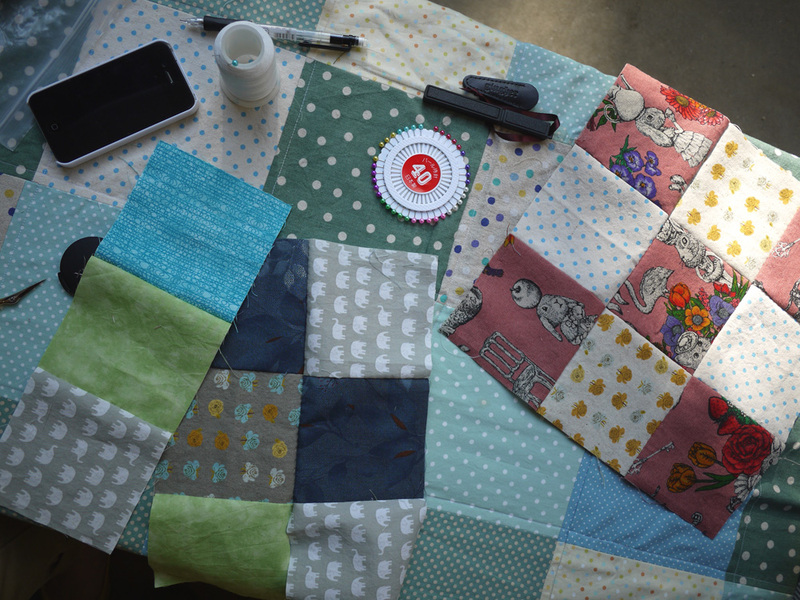 I’ve been collecting this fabric for the past two years, and some I brought with me from the US, so it is always interesting to see the fabric find a new life in someone’s quilt. Here is Thewallinna making her first quilt block. So sweet! The next quilting class will be held on Sunday, September 23rd, and a special Saké Puppets sashiko workshop is scheduled for August 25th at the Etsy Craft Party in Shibuya. Stay tuned for more details! This entry was posted in Crafts and tagged DIY, English Craft Club, learn to quilt, quilting, sewing lessons, Shinjuku Gyoen, Tokyo crafts. Bookmark the permalink. Looks like a good time was had by all (including the mosquitos). The quilt blocks are lovely.